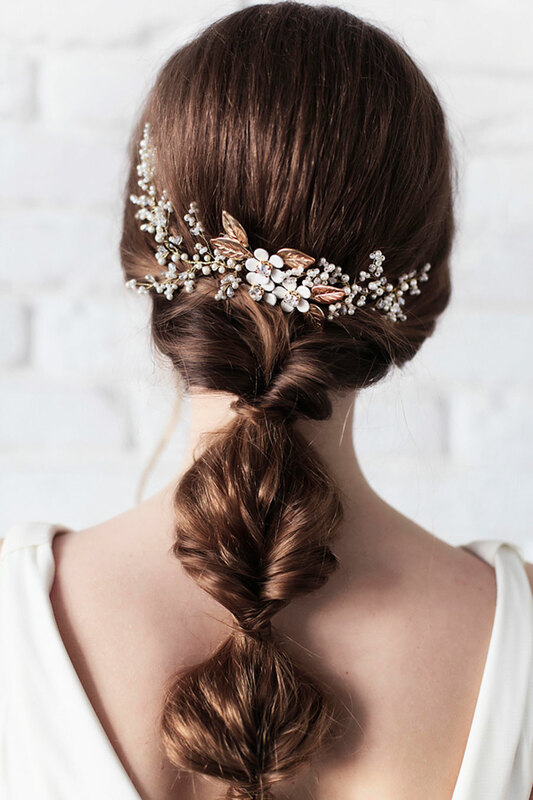 Home > Accessory > An Interview With Couture Bridal Headpieces & Accessories Designer: Biano Accessories! 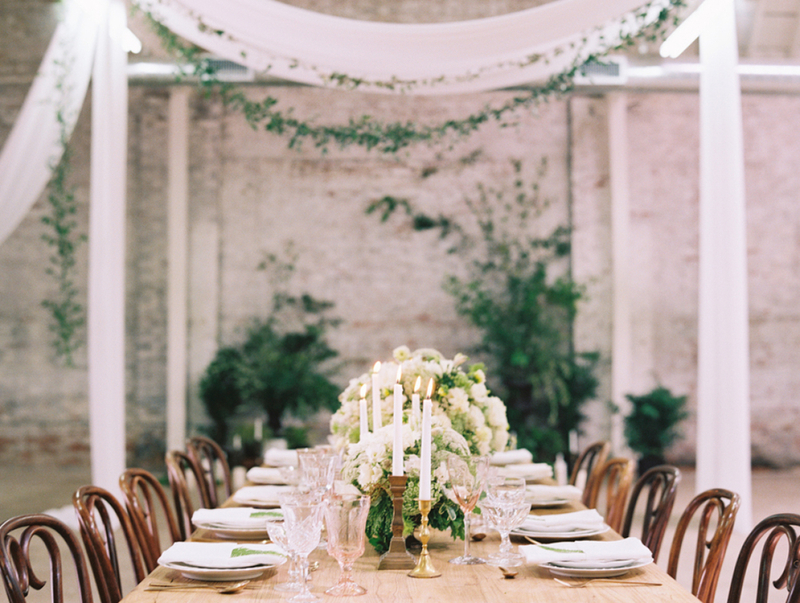 Have you ever wondered about the lives of talented bridal designers? What and who inspires them and their beautiful creations? How they started out, or what they even do in their spare time! 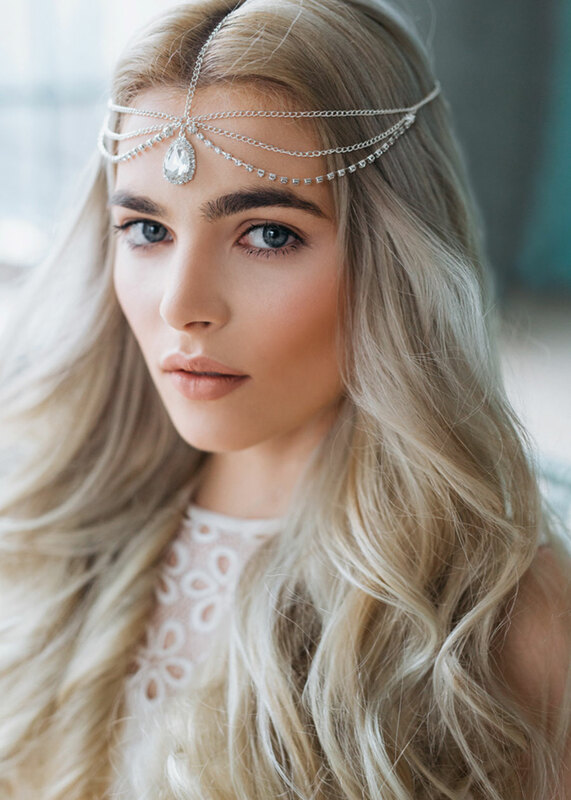 Want That Wedding gets the ultimate low down on couture headpieces designer Caterina Cibotari – the amazing talent behind Biano Accessories… and of course we also get to swoon over her stunning bridal accessories. Cooking is what really makes me joyful. I spend hours of my time daily to gain new insights about different cooking methods applied by a variety of chefs. I always want to be prepared for any culinary challenge that arises. 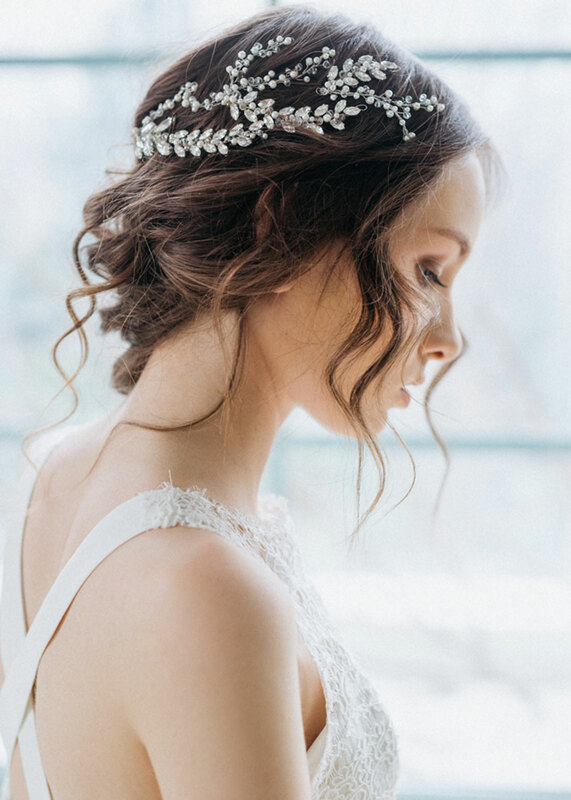 During my wedding planning, I discovered the beauty of handmade bridal accessories, that emphasizes a sense of elegant sophistication, this is what I believe brides are into. 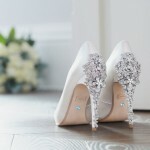 That was when my journey of creating bridal accessories started. I was eager to create more and more, and then I wanted to improve and become the very best I could. My first bridal accessory was a hair comb made of lace, Swarovski pearls and gems that I actually made for my own wedding. I put my heart and soul into creating the accessory of my dreams. On my wedding day, I felt so special and proud to wear an accessory I had made myself. From then on, I started to create accessories that would make other brides feel just as special and unique. I’m part of a big family and the talent of my grandmother, who was formerly a skilful seamstress, was inherited by some of her daughters and granddaughters who became fashion designers. From childhood, I admired and watched the special creations of my cousins. One of them taught me to embroider evening and wedding dresses: corsets, veils, gloves, etc. I think that’s where I discovered my talent and my love for manual work. Where do you draw your inspiration from? 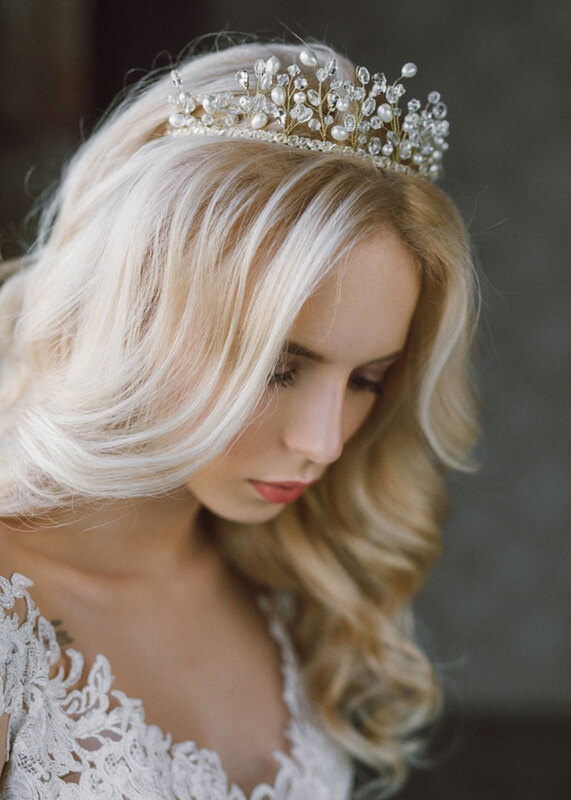 How do get motivated for designing your bridal headpieces and accessories? I find inspiration everywhere. It’s all about experimentation. Many ideas come from nature, especially in the spring. 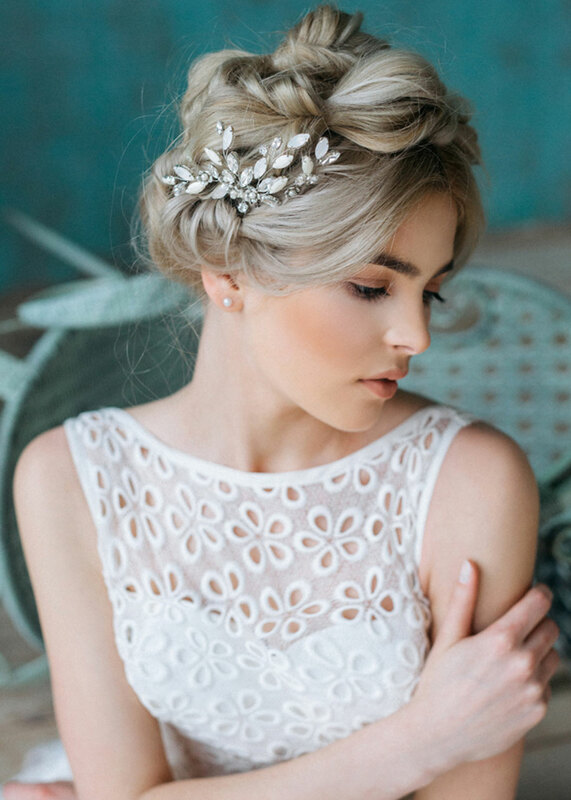 I look carefully and analyze the weddings trends: the fashionable formations of the bridal dresses of the famous designers, new hairstyles for brides, wedding styles, colours, etc. 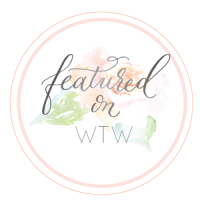 I strive to create accessories that will blend well with these trends. Other times, ideas come up when I play with the new materials purchased for the future collection. I mix and match ideas, sometimes it’s perfect the first time and other times it may require several revisions for a perfect balance and fit. 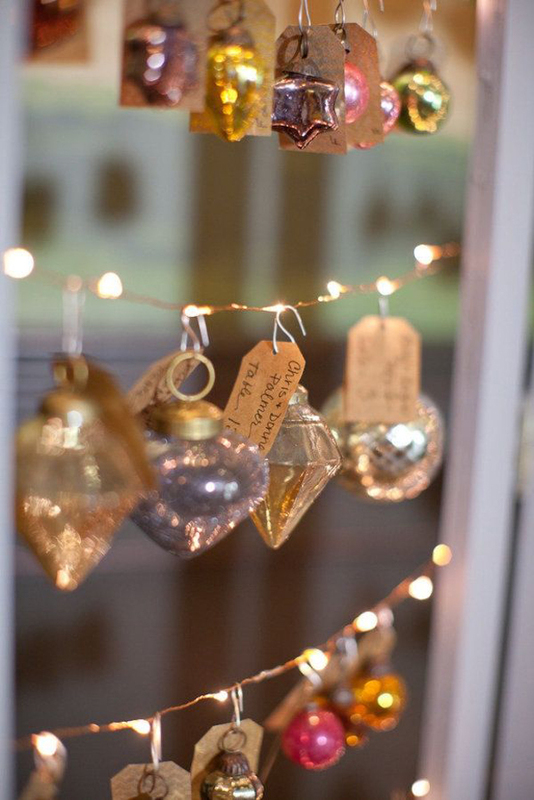 As I’m fairly new in the wedding industry, for now – each new collection is the highlight. In my hometown of Moldova, Biano Accessories are recognized and asked for by many modern brides who want to look different. We have also co-operated with some luxury beauty salons, and I’m proud that the celebrities who dressed there wore my accessories at ceremonies. I want my accessories to be recognized internationally, to be worn and appreciated by brides from different corners of the world. 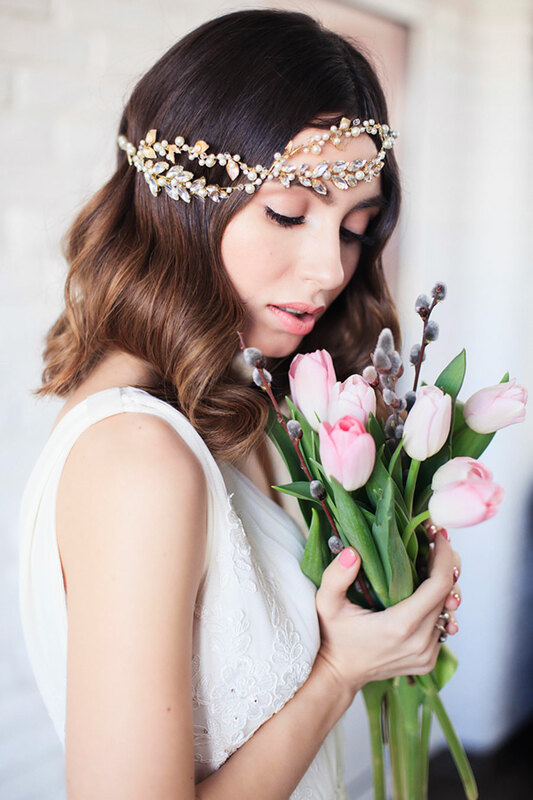 From your collections, do you have a favourite headpiece? From 2016 Collection my favourite headpiece is Helen – a unique accessory made of pearls, glass crystals, rhinestones and gold leaves. 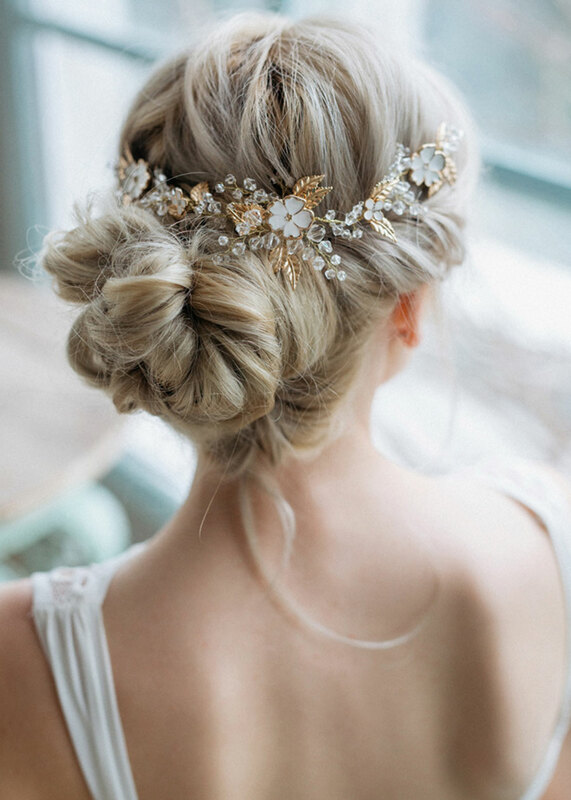 It looks elegant and simply fantastic with most bridal hairstyles. Also, I love hairpieces with handmade clay flowers from my latest collection, inspired by nature. What types of material and detailing do you use for your collections? I use different materials. I work with pearls, glass crystals, rhinestones in gold and silver settings, Czech beads, metal leaves and handmade clay flowers. All are handcrafted only by me with love. I love to create with my hands, my heart and my visual instinct. My jewellery and accessory construction methods are self-taught. 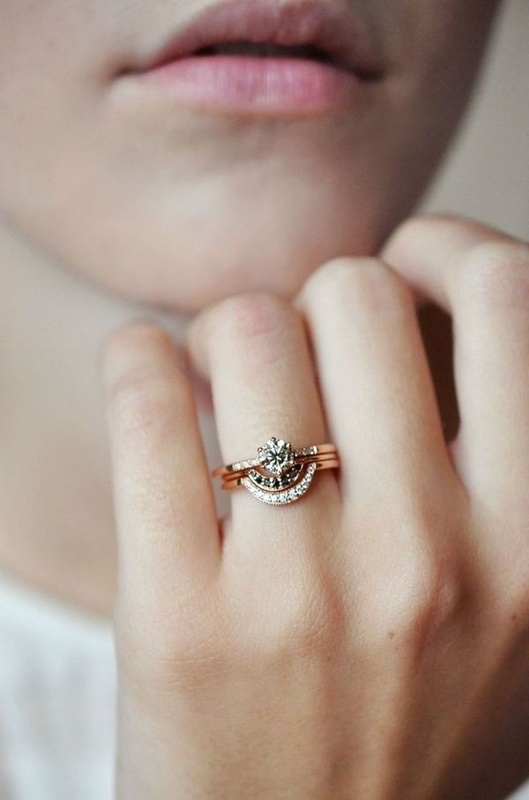 Each piece I create is carefully handcrafted, with meticulous attention to detail. 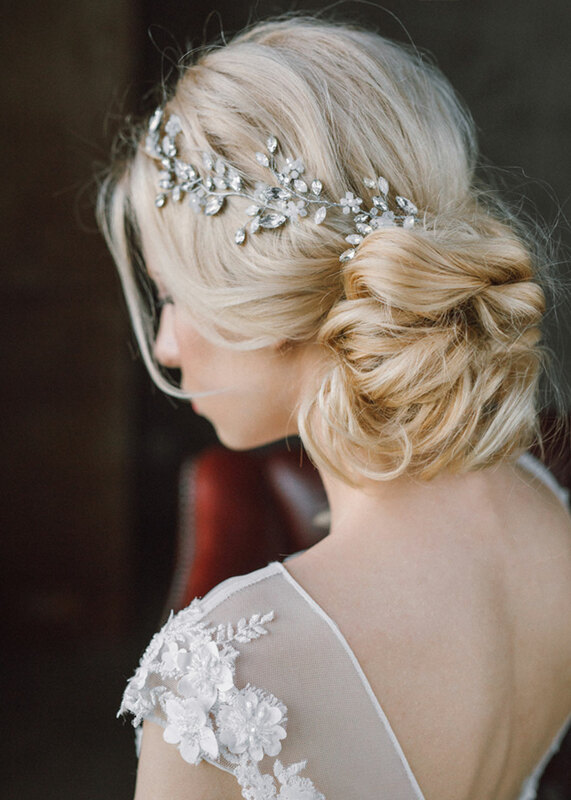 What type of bride do you think is attracted to your headpieces? Please describe her personality and style. Every person is unique and this uniqueness must be expressed, accentuated and emphasized by the way of being. I believe that an accessory is not just a detail, it’s a masterpiece that defines the elegance and one-of-a-kind style of its owner. 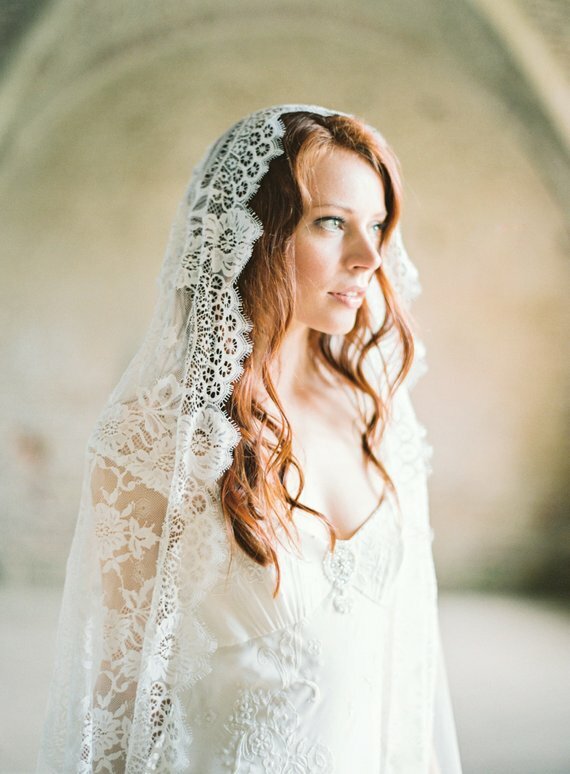 My goal is to help each bride find a piece that speaks to her on a personal level. 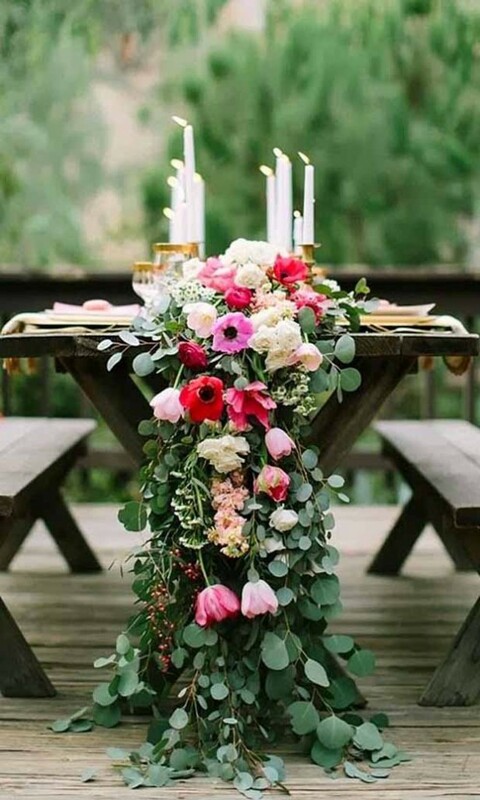 My brides are modern, urban brides, who want to be stylish and comfortable on their special day and I am glad that more and more brides want to look original and different. Are there any exciting plans coming up for you? As I recently moved to Switzerland I would like to promote my accessories in an internal market. For now, I’m concentrating on creating a new line of earrings and also a new collection of hair accessories. I hope that after 5 years I will still be doing what I love for a living, which is creating and working on Biano products. My future goals include having my own boutique in Zurich, where I can show my designs and invite brides to try them on in person. 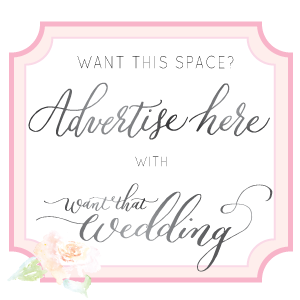 I hope to learn new things, try out new techniques, adapting them into my current work process, and also how to make my wedding apparel and accessories even more unique. I feel happy when I am with my family. I have a wonderful husband and a 2 year old girl whom I love very much. I like spending time together, travelling, discovering new places and cultures. I’m just as happy in quiet moments in the heart of nature. Meditation and relaxing music help me to obtain peace of mind. When you’re not busy designing pretty headpieces, how do you fill your spare time? I’ve been working toward building the business for three years now. My hobby has become my job, and I am very happy that all my time, power and creativity I invest in my own business. This does not prevent me from being a good mother, a housewife and a caring wife. They all go in unison. I consider myself a fulfilled person with my family and satisfied because I follow my passion that brings joy to my soul. 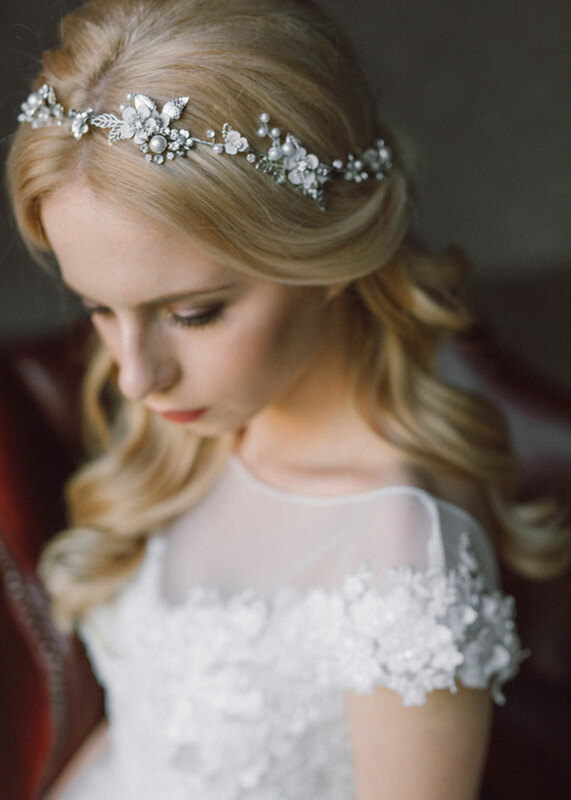 Our lovely brides-to-be would love a guide price for your headpieces and accessories, what can they expect to pay? 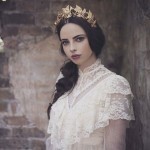 The range of prices for Biano headpieces are between $85-200. All are handcrafted by myself. I adore Berta wedding dresses – illusion lace and sheer details make all her collections one of the sexiest I’ve seen yet. That inspired me to use luxurious materials – the amazing details that famously feature on her gowns are exquisite. Also, I am in love with Galia Lahav wedding dresses which are made of exclusive blended fabrics and have delicate embroidery and dramatic trains. 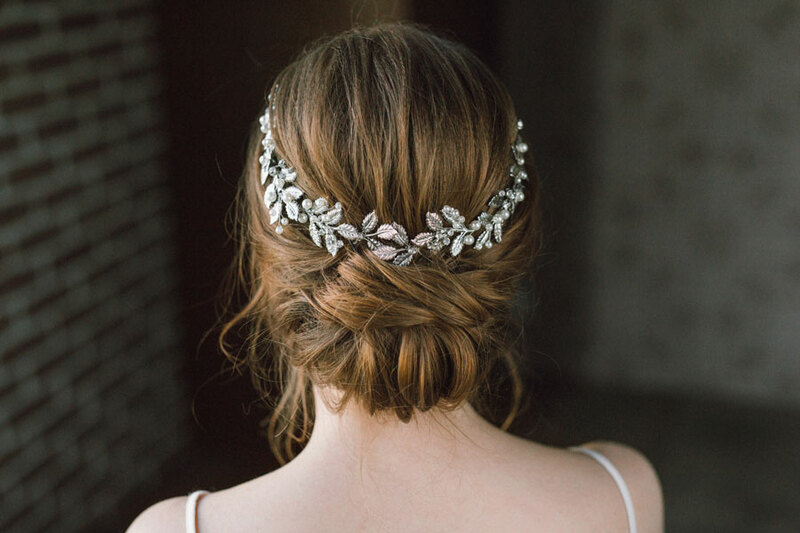 As a general rule, I would suggest a delicate, small hair accessory if you’re wearing a very heavily beaded or embellished gown. On the other hand, a simple classic satin gown can take a larger statement headpiece. 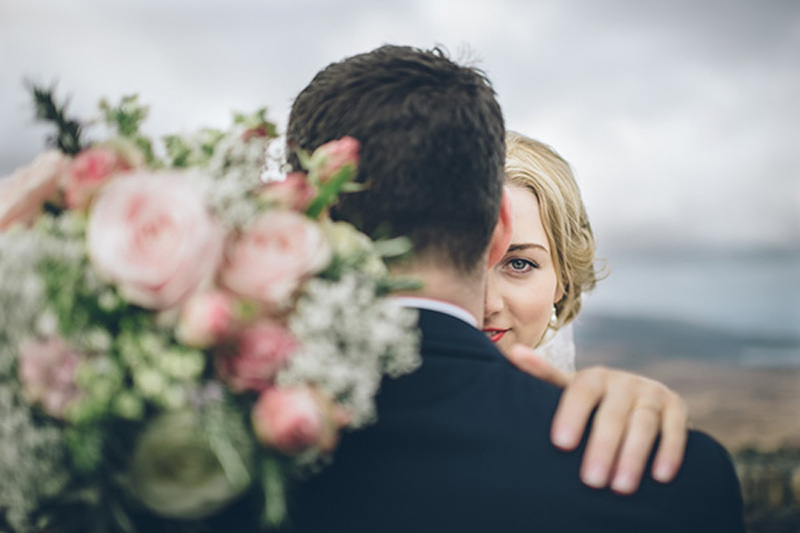 Other advice I give to my brides is to choose accessories that transcend time – you should look back at your wedding photos for many years and it still looks timeless, glamorous and effortlessly flawless. 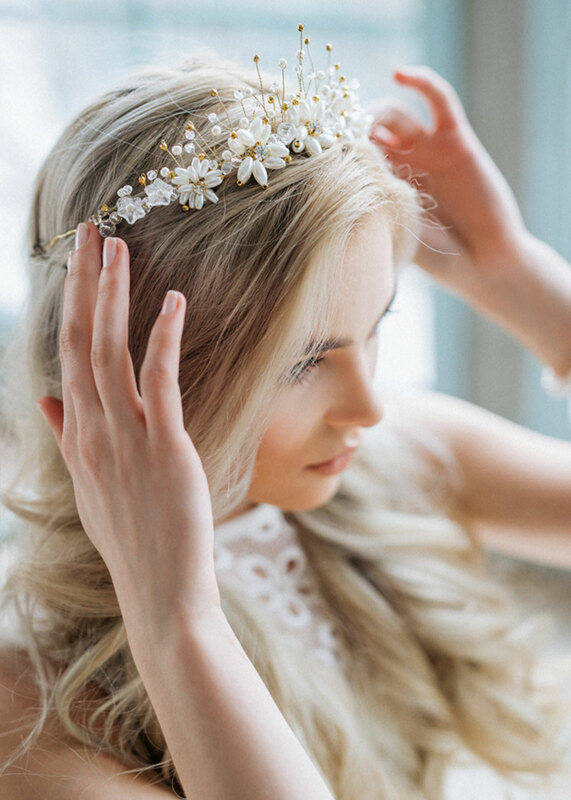 Don’t leave choosing your accessories until the last minute either as it’s not just about having accessories in time for your wedding, but for hair trials and dress fittings too.